47mm mount with 2-10x48 Pilade Scope, Illuminated LS Reticle to fit AK and SVD. The newest scope with precision machining and good stability characteristics, you will find this scope ideal for aimed shooting in variable terrain. Comes with side parallax adjustment turret. 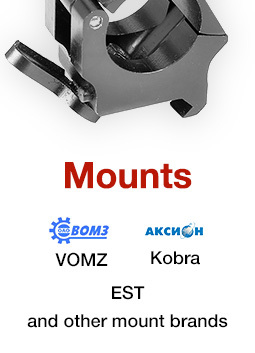 The KOM series of pre-mounted optics are assembled and aligned to produce a true “mount and shoot” optic that is ready to use the second you receive it. 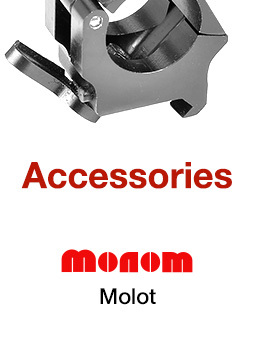 All KOM optics offer the lowest possible mount height for AK, SVD and SKS/Mosin-Nagant rifles for that perfect cheek weld while providing true center bore alignment as well. 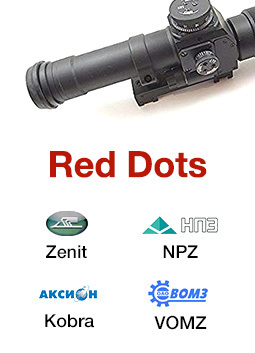 Each is also available in several heights; 30mm, 40mm, 47mm, 59mm, 65mm and 65V (Vepr). AK rifles and variants require a minimum of 59mm and SVD rifles require a minimum of 47mm. SKS and Mosin-Nagant rifles equipped with a side rail can use all heights of KOM optics. To determine what height it right for you, simply measure from the center of your side rail to the top of the receiver cover. This will be the clearance amount your rifle requires. It is recommended to select a higher mount than the minimum if you wish to use your iron sights as well. Larger magnifications (48mm and up) may require you to go up two additional heights. 2-10x48 Pilade Scope, Illuminated LS Reticle. The newest scope with precision machining and good stability characteristics, you will find this scope ideal for aimed shooting in variable terrain where hills or other conditions chop distance between possible targets. Comes with side parallax adjustment turret on the left side of the scope. 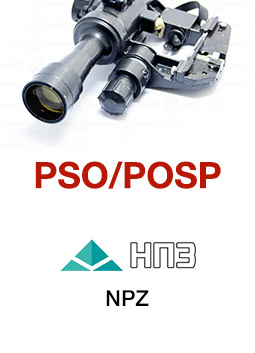 The scope has optimal 2-10x magnification with elevation and windage turrets adjustable at 0.085 mil (1/3 MOA) clicks. The special design of the scope keeps both lateral and angular adjustments maximally protected from water and dust so you always stay zeroed in. This scope is fully dry nitrogen purged to protect against fogging.